Mild temperatures may tempt you to head to the beaches of Cascais, but the ocean may still be cold. So do the next best thing, and stay on the waterfront in the center of Lisbon. At Ribeira das Naus you can simply sit in the sun or enjoy a drink served by the kiosk cafÃ©, in the Parque das NaÃ§Ãµes district you can walk along a boardwalk as you admire the cityâ€™s best contemporary architecture and Europeâ€™s longest bridge, and by the landmark BelÃ©m Tower you may sit and imagine Vasco da Gama departing towards the Atlantic over five centuries ago. One of Europeâ€™s great fairy tale towns is just minutes from Lisbon, a World Heritage Site of palaces and castles amid lush vegetation. Spring is the best time to see Sintra at its greenest, especially at Pena Park, home to the extraordinary Pena Palace. Also not to be missed at this time of year, the Monserrate Palace and gardens. The terraces overlooking Lisbon from the hilltops make it a great outdoors city throughout the year, but itâ€™s during spring that you may see it at its most colorful. In the sun or shade, take some time to enjoy the setting and the views from Lisbonâ€™s many viewpoints (called â€œmiradourosâ€). Donâ€™t leave town without spending a great spring morning, afternoon or evening at Miradouro de SÃ£o Pedro de AlcÃ¢ntara, Miradouro da GraÃ§a, Miradouro das Portas do Sol, or at several others in Lisbonâ€™s seven hills. The rest of Europe may still need heaters on its restaurant terraces at this time of the year, but in Lisbon you may have the summer outdoor dining experience in the spring. Do it at one of the restaurants of the Docks looking out to the marina and 25 de Abril Bridge, by the arcades of Comercio Square, or on the many streets of Bairro Alto. Several major festivals take place in the city from April to June. The â€œDias da MÃºsicaâ€ is a classic music festival that usually marks the beginning of the season, with a marathon of concerts over a weekend at BelÃ©m Cultural Center. After that comes the biggest festival of all, the IndieLisboa independent film festival, and then there’s the cityâ€™s biggest gastronomic festival, â€œPeixe em Lisboaâ€, with several chefs presenting their talents in preparing fish and seafood. The image most associated with Lisbon is probably water, whether itâ€™s that of the Atlantic beaches nearby, the history of its explorersâ€™ ships at sea, or where the famous seafood comes from. Those visiting the city often do it with the beach in mind, but during the colder months you may also have a pleasant outdoors experience on the waterfront. In the summer or in winter, here are ten places to enjoy a meal in relaxing scenery. Opened in late 2012, this lounge/bar/restaurant is literally on the water. 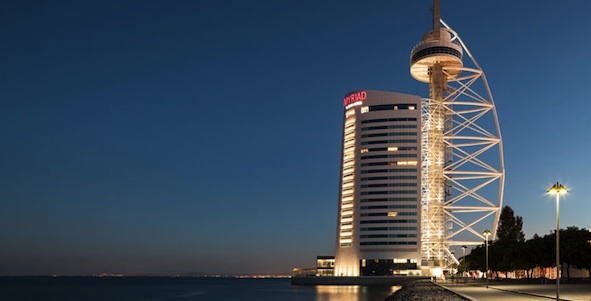 Itâ€™s inside the Vasco da Gama Tower which is now the Myriad Hotel and serves contemporary Portuguese cuisine. On the opposite edge of town (BelÃ©m), this cafÃ©-restaurant is inside one of the cityâ€™s newest contemporary architecture landmarks, the Champalimaud Foundation building. Itâ€™s just a short walk from Belem Tower which can be seen from the terrace. It serves meals throughout the day. Also close to the tower and right on the riverâ€™s edge, this cafÃ© in a white glass rectangle serves light meals, and although itâ€™s best experienced when the sun is out, itâ€™s also pleasant at night. 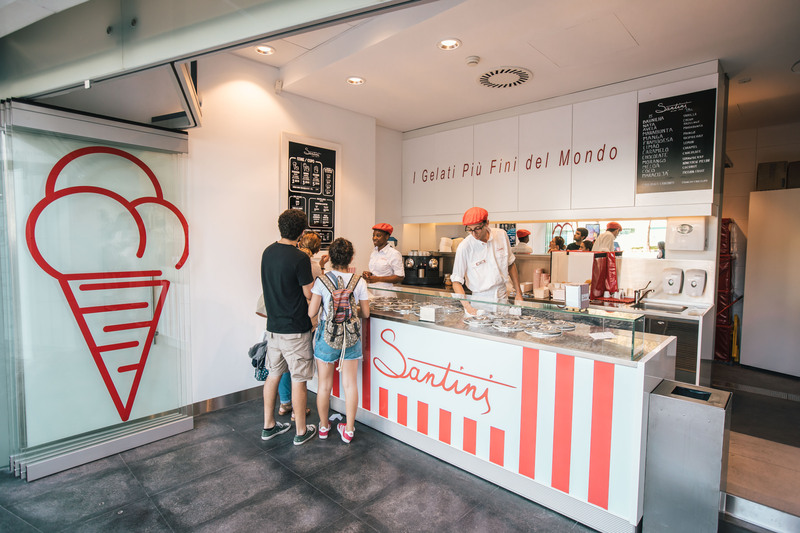 With a terrace floating on water, this is a favorite of families for pizza, pastas and ice cream. The Discoveries Monument stands right outside. Many of the restaurants in the docks are tourist traps but this more recent addition comes with a history and reputation as one of Lisbonâ€™s favorite pizzerias. It was originally in a big space nearby but the new location by the marina is much more attractive. Itâ€™s the most attractive of all the restaurants at the docks but as a tourist magnet you can either have a memorable experience or one to forget. Even so, itâ€™s worth a stop, even if just for a drink and a lighter meal in a beautiful setting. With one of the most beautiful locations in the city, this restaurant doesnâ€™t have to work very hard to attract customers. Thatâ€™s reflected in the service which doesnâ€™t always meet expectations but itâ€™s still a nice spot for fresh fish by the water. Itâ€™s one of the best restaurants in the city, both in food and in service, matching the wonderful riverfront location and the hype as the restaurant of a Hollywood star (John Malkovich). It has a terrace outside but youâ€™ll also have views of the Tagus from many of the tables in the stylish interior. In a central location by the water (Cais do SodrÃ©), it could be a restaurant just for tourists but itâ€™s not. Itâ€™s an unpretentious place for traditional Portuguese cuisine, mostly fish, especially grilled. A short walk along the waterfront from Cais do SodrÃ© is this cafÃ© thatâ€™s especially popular in the summertime. Serving refreshing drinks and light meals, itâ€™s a pleasant stop after sightseeing. Lisbonâ€™s tallest building is now a hotel. 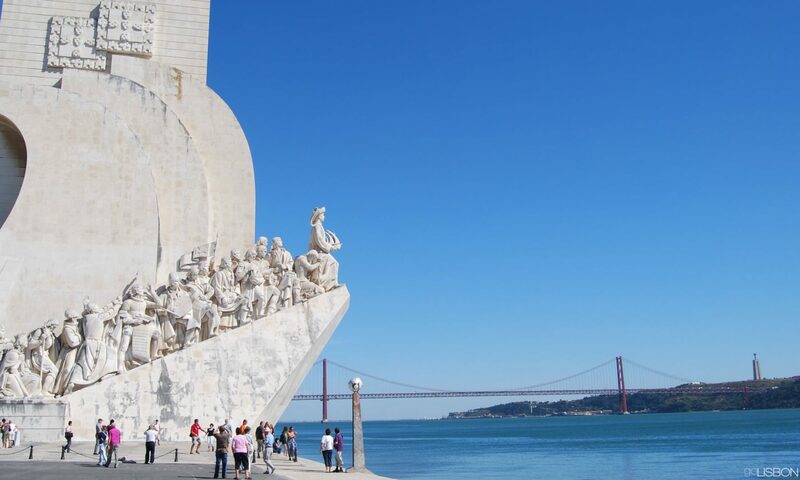 Built as a viewing tower for the World Fair in 1998, the monument was extended in 2012 and now allows visitors to Lisbon the opportunity to sleep literally on the river. The 176 rooms offer wonderful views of the Tagus and Europeâ€™s longest bridge, and feature modern design and 5-star service. Facilities include indoor pool and spa, and conference center. 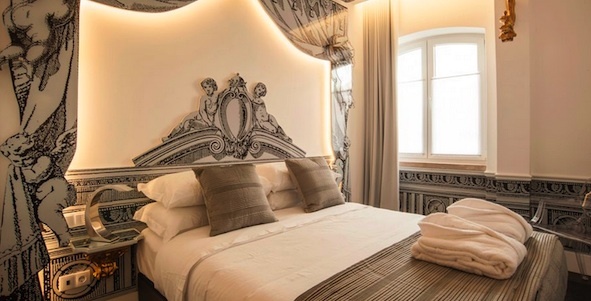 With 47 rooms, this is a luxury boutique hotel in one of the cityâ€™s best locations. Itâ€™s in the heart of the city in Chiado, and faces the Bairro Alto district with its many bars and restaurants. Guests are at the doorstep of Lisbonâ€™s best shopping and nightlife, and within walking distance of many city attractions. Elegant design welcomes you into the rooms, while a 6th-floor terrace will offer you magnificent views over Lisbonâ€™s rooftops. This small but beautiful hotel stands next to one of several theaters of the classy Chiado district and that was its inspiration. Elements of classic theater mix with contemporary style to create a unique atmosphere in all of the rooms. 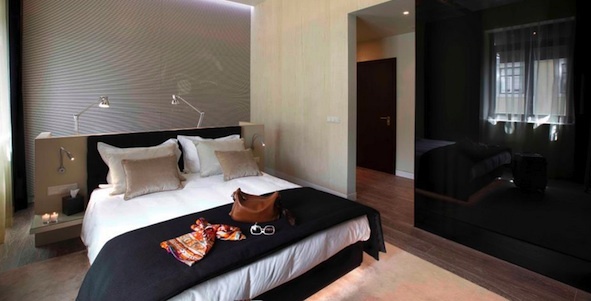 For its ambiance and location, it sets the stage for a memorable stay in Lisbon. It’s one of Lisbon’s most-visited attractions and one of the world’s biggest aquariums — and it just got bigger. A recently-inaugurated 4.8-million-euro extension added space for temporary exhibitions (at the moment you can see sea turtles), a new auditorium and a new restaurant. It reinforces the mega-aquarium‘s mission to alert its nearly 1-million visitors each year to near-extinct species and a cleaner environment, while also providing other services such as family-friendly programs in the auditorium and extra space to relax with a meal. 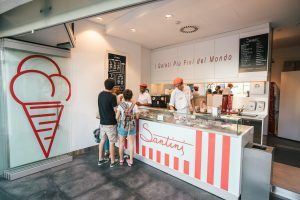 The new all-white restaurant is open from 10AM to 7PM and serves a kid-friendly menu: pastas, hamburgers, soups, salads, snacks. The Oceanarium is one of only a couple of attractions in the city that never close. It’s open throughout the year, even on Christmas day. It’s an especially good destination to include in your itinerary if you’re in the city on a Monday when most of the museums and monuments are closed. 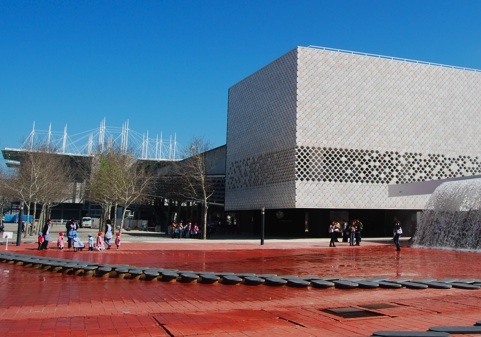 It’s also perhaps the attraction most enjoyed by all age groups, and the Lisboa Card gives you reduced admission.